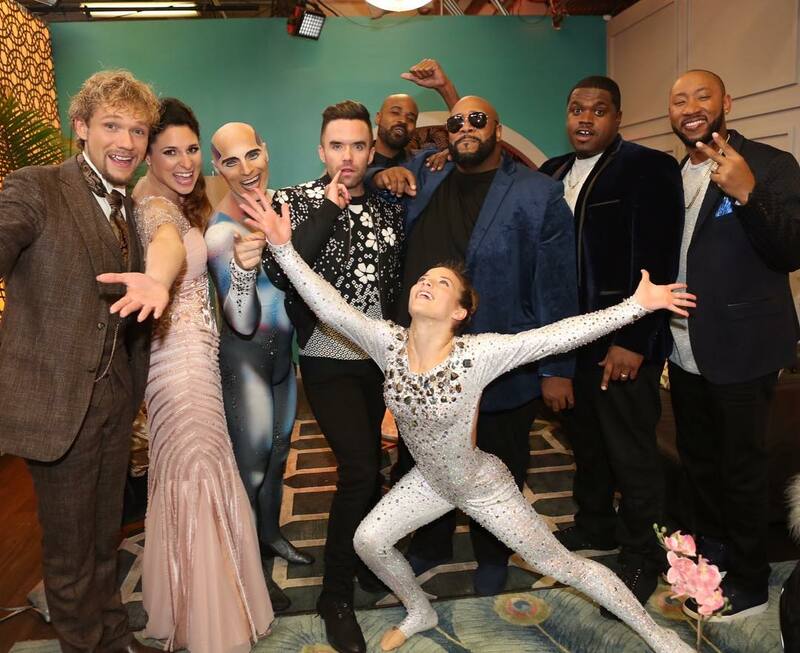 One little-known fandom I'm in is the fandom of America's Got Talent--a glorious yearly event that begins each spring, airs throughout the summer, and culminates in an epic round of finals in the fall. If you're familiar with talent shows, that's exactly what AGT is... except it just so happens to be one of the biggest talent shows in the world. *cue Nick Cannon voice* Thousands of people audition for a chance to compete for one million dollars and a show in Las Vegas. By the end, one person is one million dollars richer and the entirety of America is richer because of all the contestants' talent. Last night, season 11's finals aired, and we're all waiting to see who the winner for this season will be tonight. 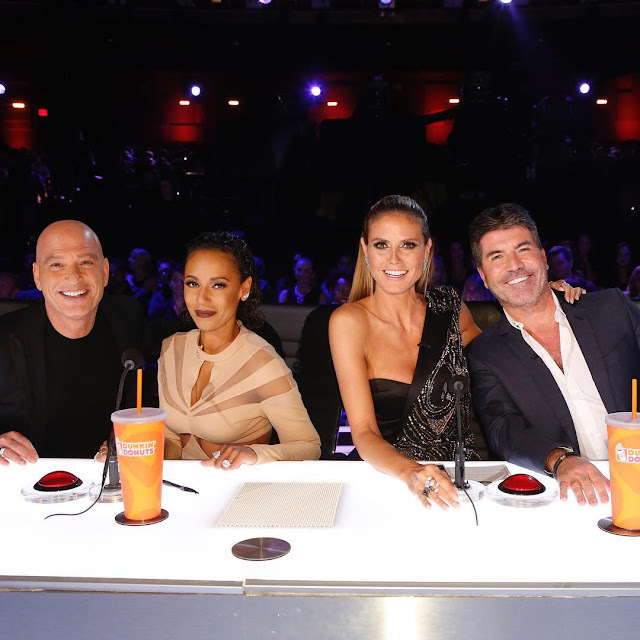 So, have you given AGT a try? If not, here's why you should be tuning in! Arguably, the stars of the show are the judges: Howie Mandel, Mel B, Heidi Klum, and newest judge slash producer, Simon Cowell. The interactions and personalities of each judge get almost as much of a chance to shine as the contestants do. Seeing each of their dynamics both combine and clash is amusing. Each judge brings something special to the judging panel, and it definitely wouldn't be the same without them. 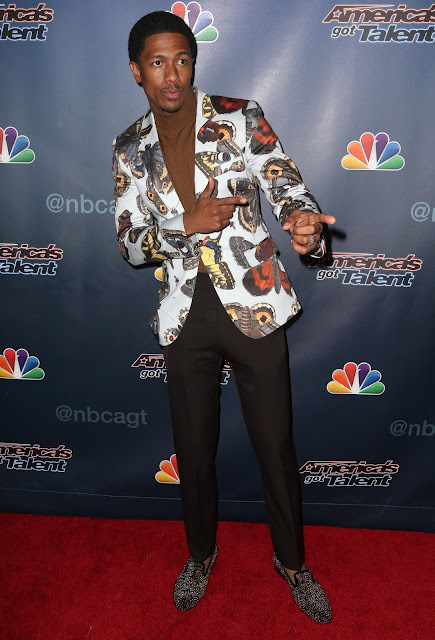 AGT has been hosted by Nick Cannon since 2009, and he's a great asset for the show. He helps the contestants feel comfortable, and he entertains the audience as well. He's got a laid-back, humorous personality, and he's endearing to watch. Plus, his fashion style is pretty amazing. America's Got Talent is a show based on variety. America is already rife with talent shows--we have shows like The Voice where singers can compete for a chance to be a star. However, the only show where variety acts can compete is, in fact, AGT. There are no limits to what can be turned into a competition. 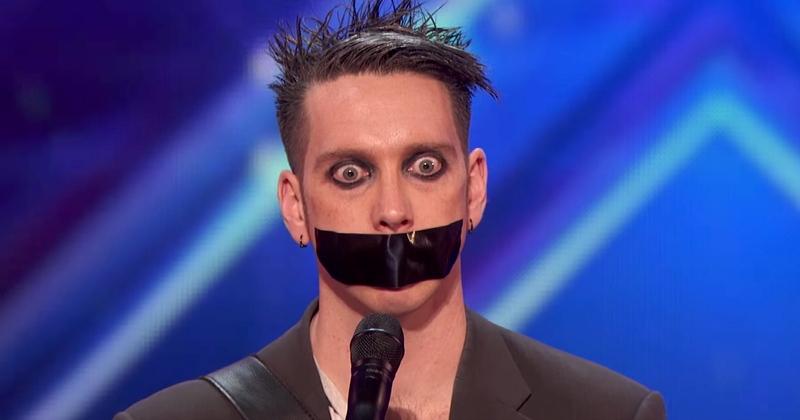 Whether it's a man with tape on his face, a pig who does tricks, or a professional regurgitator, you never know exactly what is going to walk across the AGT stage next. (In fact, season seven's winners were Olate Dogs, whose act revolved around a bunch of dogs who did tricks.) Additionally, the "cast," aka the contestants, changes up each season, and each year brings new, amazing talent. It keeps things constantly exciting. The word "Talent" in AGT's title isn't a lie--AGT really does manage to draw in talent from all over America and really, all over the world. It's a place where diamonds in the rough are found, where unlikely superstars are discovered. If you've ever heard of Jackie Evancho, she got her start on America's Got Talent, and many of the AGT winners have gone on to have great success (and some have even gone viral!). Even if the contestants didn't win, they often go on to have their own career. Thanks to AGT, formerly undiscovered stars can let their abilities shine and get a shot at chasing their dreams. But in reality, the show would be nothing without its contestants. They are the titular Talent, and it's a gift to see them perform each year. We start off with a contestant's first audition, then follow them to Judge Cuts, and then all the way to the finals. Each episode reveals a little more of their journey, their story, and their drive to win. It's hard not to get attached to them, and regardless of whether they win the show, they definitely win me over each year. Have you watched AGT? Will you tune in next summer?